What if you could live not only 2009 but what if you could live in 1878? Would you? Well Not only does Jackson Chandler and his family so does Jocelyn Timmons. This book is amazing! The love story between Jocelyn and Jackson surpasses all other love stories. The author draws you inside the story in such a wonderful way. 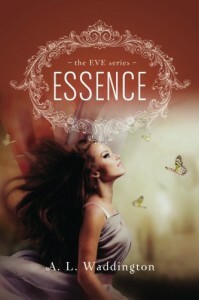 Essence left me wanting more. Not only could I not put it down, I didn’t want to put it down. I felt like I was part of the family. I fell in love with not only the characters but the story line was well. I am excited about the second book in this series I can hardly wait to see where Jocelyn and Jackson take me next. If you like reading about Time Traveling this this book is for you. Once you start reading it you will not regret it one bit. IT IS A MUST READ!